Playwright and Jungian analyst Florida Scott-Maxwell explores the unique predicament of one's later years: when one feels both cut off from the past and out of step with the present; when the body rebels at activity but the mind becomes more passionate than ever. 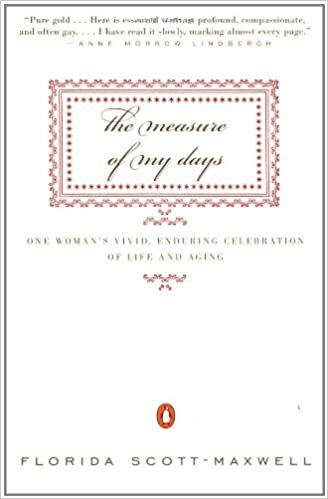 Written when Maxwell was in her eighties, The Measure of My Days offers a panoramic vision of the issues that haunt us throughout our lives: the struggle to achieve goodness; how to maintain individuality in a mass society; and how to emerge--out of suffering, loss, and limitation--with something approaching wisdom. Maxwell's incredible wisdom, humanity, and dignity make The Measure of My Days both timeless and timely--an important contribution to the literature of aging, and of living.